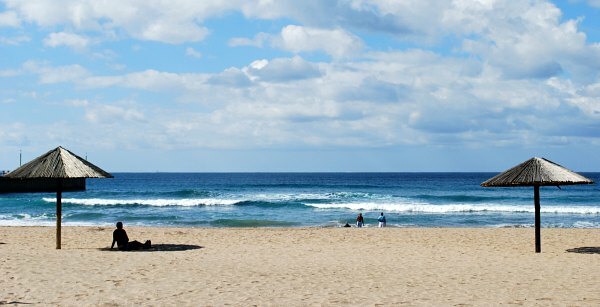 Durban Beaches – The first thing that strikes you about Durban is the beautiful sandy beach which stretches for miles up the coast. 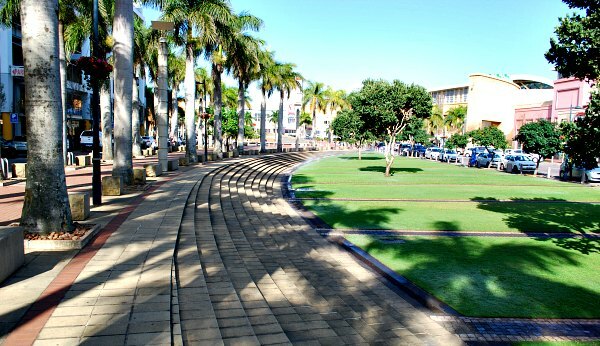 The seafront area closest to the city centre is known as the ‘Golden Mile’ and South Africans have been coming here for decades to enjoy the beaches and the lovely holiday feel which surrounds the promenade walkway which lines the sand. The promenade continues for quite a few kilometers so it’s a great place to cycle, walk, jog or roller-blade. There are nice places to eat along the walkway too and plenty of places to stop off and sit under a parasol on the beach. Moses Mabhida Stadium – In 2010, South Africa hosted the FIFA World Cup and a range of new stadia were built in major cities. The Durban stadium is named after Moses Mabhida who was a significant figure in the fight for freedom. 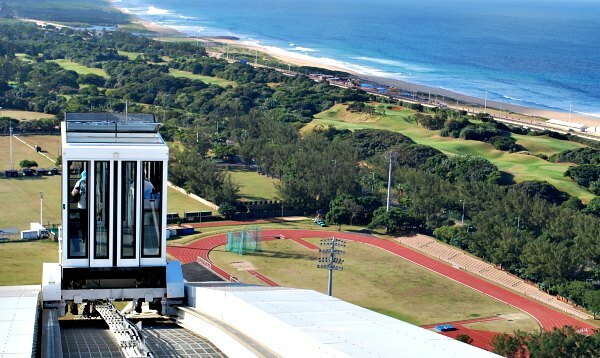 Even if you have no interest in soccer whatsoever, this stadium is a ‘must-see’ attraction in Durban because of the SkyCar which travels up the side of the structure to a special viewing deck at the top. From here you can see all over the city and for miles up the coast. The view is simply stunning and well worth the ticket price. If you are interested in the rest of the stadium, there are tours available in there too. Umhlanga – A short drive up the coast from Durban is the beautiful little seaside community of Umhlanga with its own beach-side walkway and mini pier. It’s also home to some of the areas most luxurious hotels, an attractive lighthouse and a huge shopping and entertainment complex packed with all the big chain stores. There are plenty of options for eating out here too and the whole place feels like a relaxed holiday resort. We particularly enjoyed walking along the promenade and watching the oyster catchers work around the rocks. 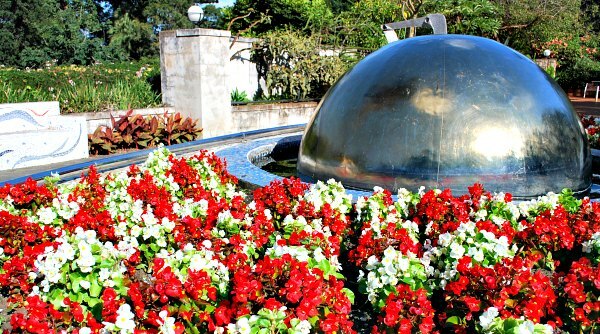 Durban Botanic Gardens – These gardens began life in 1849 when agricultural crops were trialled here, but today they’re a colourful bringing together of indigenous and exotic plants, surrounded by lovely big trees. The gardens are free and they’re a great place to walk around on pleasant day and soak up the show of colours, water features, lawned areas and structures. You don’t need to have some kind of amazing plant knowledge to enjoy the gardens, because they’re so pretty! We just spent a couple of hours here, sitting on benches and walking along the footpaths and it was beautiful. 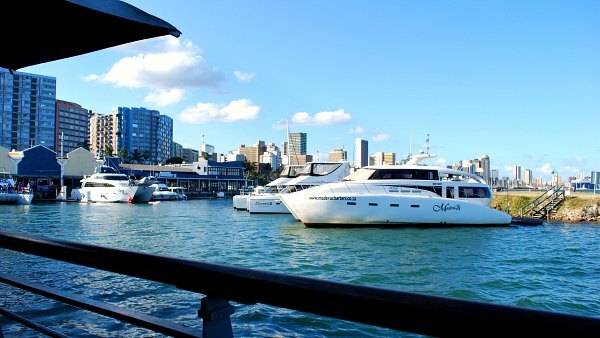 Durban Harbour – The wealth of the city of Durban traditionally came from the sea and today the port is still one of the busiest in the world. When you’re walking along the beach you’ll see container ship after container ship waiting in line to get into the port. You can visit the harbour area and sit at one of the cafes near the marina which overlook the port. From hear you can watch a busy port in action, but there’s also a lovely view of Durban across the marina. You can hire a leisure yacht here too, or wander around the marina shops. Nelson Mandela Capture Site – Whilst in Durban, there are a couple of places you should consider a longer journey to and one of them is the site where Nelson Mandela was captured in 1962. It’s just an ordinary stretch of road, but the visitors centre that’s been built here is truly extraordinary. There’s a temporary exhibition in a large shed which puts the site in context, but the amazing part is the huge sculpture which you walk to near the road side. 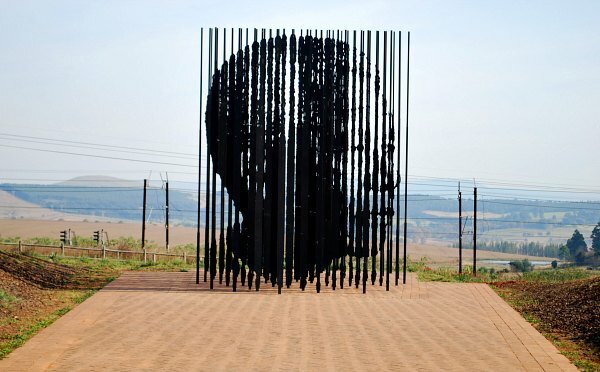 As you approach down a specially constructed path, all you can see are strips of irregular shaped steel pointing skywards, but slowly was you get nearer the strips start to line up and when you stand in one particular spot, they come together to form an image of Nelson Mandela’s face. It will take you an hour or so to drive here, but it’s worth it – especially if you head to the nearby Howick Falls (described below) too. 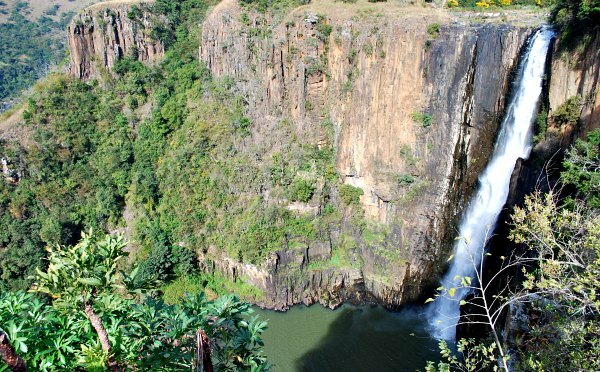 Howick Falls – Another out-of-town location that’s worth a visit when you’re in Durban is Howick Falls. The natural waterfall here is over 300ft high and has a specially constructed viewing platform so you can take photos. There are woodland walks along the edge of the river as it flows away from the falls and you’ll find a host of cafes, gift shops and souvenir stalls at the top. 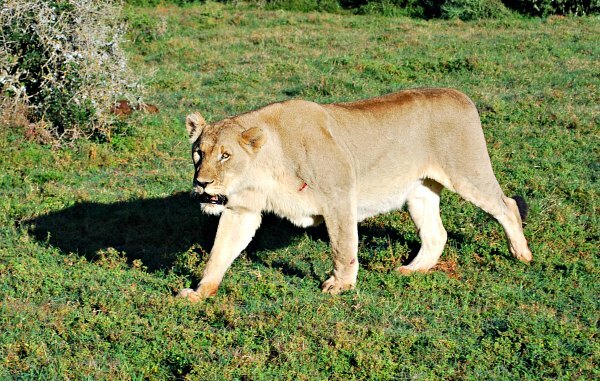 It will take you an hour or so to drive here, but it’s worth it – especially if you head to the nearby Nelson Mandela Capture Site (described above) too. 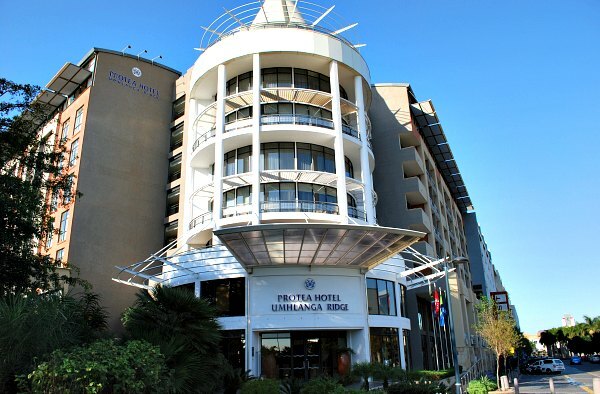 We stayed at the 4* Umhlanga Ridge Hotel which is located right next to the huge shopping mall there. It’s within walking distance of the sea front too, although you may prefer to drive. Durban city centre is around 20 minutes drive, but we felt this hotel gave us the best of both worlds in that you feel like you’re staying at the seaside, but still have easy access to the city centre. There are plenty of places to eat nearby too. The hotel rooms are modern, clean and comfortable with free wi-fi and the breakfasts were lovely! If you can afford it, the other hotel we visited and would recommend is the 5* Oyster Box Hotel which is right on the seafront and has luxurious rooms, great food and exceptional service. Durban doesn’t have a decent public transport service and reliable taxis can be expensive. As such you’ll need to have access to a car to get the best out of the city. Car crime is still an issue in South Africa, so take the normal precautions of never leaving anything valuable in the car and not leaving anything on show. Many car parks have ‘car guards’ who offer a certain amount of security if you park there. You can tip them when you leave – around 5 Rand is appropriate. If you do need to take a taxi, get your hotel to call a reputable firm for you and then arrange with that driver to take you back to the hotel when you wish to return. Do not rely on taxi cabs that you have just flagged down in the street.